Getting up really early is usually not much fun. But today's early rise was an exception. I was so looking forward to the day that I jumped out of bed two hours earlier than the early alarm-call. Because today's the day the pandas have their first picnic of PYO (pick-your-own) bamboo. So, with camera in hand, I joined a bus-full of reporters, photographers, and film crews and headed for the grand opening ceremony of Panda Valley, in Dujiangyan, on the outskirts of the Chengdu city administrative area, about 30 miles from the city centre. Panda Valley, which was built at a cost of about 300 million yuan (US$48M), is designed to be a "half-way valley" between the Chengdu Panda breeding centre and the mountainous wilds of Sichuan province – home to the vast majority of the estimated 1600 wild pandas. After what was described as "extensive profiling" of the 108 candidates at the breeding centre, six pandas – two males and four females, all aged between two and four years – were chosen to be the ones to lift their first paws on what is destined to be a long walk to freedom. Zhang Zhihe, chief of the Chengdu research base, says that thirty to forty giant pandas will follow the first six to Panda Valley before the program is gradually extended to all the pandas in the Chengdu base. Therefore, the breeding centre will become the "nursery" that "feeds" the Panda Valley "training complex". The training regime at Panda Valley is designed to prepare the pandas for their eventual release into the wild. At which point, the "vacancies" at Panda Valley are to be filled by "graduates" from the breeding centre. Before these captive-bred pandas are released into the wild, they must first convince China's foremost panda-experts that they would be able to fend for themselves. This is likely to be easier said than done. 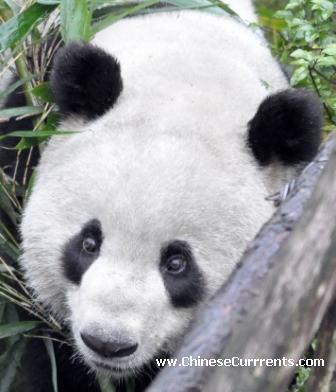 According to China-media reports, 8 out of the 10 pandas released thus far from other programs have fared less than well: six have had to be rescued because they were suffering from "severe weight loss"; one died; and one is missing presumed dead. So, with the odds of surviving in the wild stacked against them – and with so much at stake – it is reasonable to assume that their "training" period at Panda Valley is likely to be a long one. But, despite the difficulties, the authorities are determined to make this project a resounding long-term success. And, what's more, they are going out of their way to make sure the world knows about their ambitious goals – this openness is in stark contrast to the way that other area's programs have been managed. The disappearance of Xiang Xiang in the mountains of Wolong in 2007 was particularly mysterious. I heard the sad news about its death while I was staying at the remote Wuyipeng panda research station, weeks before the "official" news release. The opening of Panda Valley was always going to get a good amount of news coverage, because pandas are genetically newsworthy animals – just google "panda and Edinburgh" and you'll see what I mean (or try "panda and Paris" on Sunday, after Huan Huan and Yuan Zi's chartered Chengdu to Paris "FedEx Panda Express" touches down). 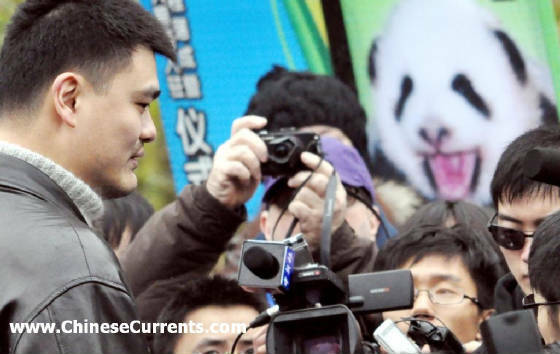 But Panda Valley's media pulling-power was ratcheted up several notches when Yao Ming, the recently retired basketball player – who continues to be the world's most famous Chinese sports celebrity – decided that he would grace the opening ceremony with his attention-grabbing 7' 6" personality. What's more, Mr Yao and his wife, Ye Li, looked thrilled to be there. I have got a lot of time for Yao Ming, who is putting together a fine CV of good causes he is helping. Yao seems to be genuinely concerned about the plight of the Panda, and mindful of the threat posed to its environment by uncontrolled urban development. Yesterday, I asked a 17-year-old chap, in a McDonalds in Chengdu, what he thought about Yao Ming generally, and about his endorsement of Panda Valley in particular. He thought for a moment, before telling me, "I like him a lot. He was a great [basketball] player... who struggled at first [he was physically not up to it in his first years apparently] ... but became an outstanding NBA [National Basketball Association] player." "He made a lot of money... but that never changed him... Now he's retired... so I guess he wants to be remembered for something else [other than a great basketball player]...He wants to give something back..."
This generation of Chinese young people tend to be labelled as self-centred and shallow (unfairly, in my view), so I was heartened by the young man's thoughtful response to my question. Which brings me to Abraham Maslow. Maslow was born in a tough neighbourhood in New York in 1908. As a young boy he was often the victim of anti-semitic bullying, which he tried (and failed) to deter by building up his physique. He was, however, better at thinking than he was at self-defence, and eventually concentrated his energy on building a considerable intellect. His name is most famously associated with his work on the hierarchy of human needs, which has been distilled by many authors into a pyramid-shaped chart – that shows "basic", physiological needs at the base and higher-states of development further up the pyramid. In short: First find some food, and then build a house with a strong door, before finding a mate, and then begin to worry about whether your house is worth more than your neighbour's (and, of course, whether your Smart TV is smarter). According to Maslow, most people reach the acme of their personal development at that point [at the 60 inch Smart TV stage]. But some people, he argued, went on to achieve the nirvana of what he described as self-actualisation [realising that there are more important things in life than the size of your TV screen or the slimness of your mobile phone]. The problem with the term "self-actualisation" is that it means different things to different people. I had another problem with it. I had never come across an inspiring description of it – which was odd considering that it is surely meant to be a state worth aspiring to. I say "had" because I recently stumbled upon the wonderful definition that appears below. It is taken from the transcript of an inspirational speech ("Self-actualisation and beyond"), given by Abraham Maslow himself (while professor of psychology at Brandeis University) to a conference in Chatham, Massachusetts, in May 1965. At the beginning of the speech, he declared that his objective was to make sense of the "grand abstraction" of the state of self-actualisation... by explaining what it meant at a given moment in time. And the time he pulled out of thin air was "Tuesday at four-o'clock". This is what he said: "Self-actualizing people are, without one exception, involved in a cause outside their own skin, in something outside of themselves. They are devoted, working on something which is precious to them – some calling or vocation in the old sense, the priestly sense." "I hope that I can follow in Yao Ming's footsteps one day." I asked him what position he played and what his shooting was like. "No, I'm not talking about basketball! ...I'm no good at that... I'd like to do some work... some conservation work... to help to save the Panda." Remarkably it was a Tuesday. Even more remarkably, it was approaching 4pm.